Whether you’re looking to replace the Music app on your iPhone or you just want an easier way to keep track of your parking spot, we’ve got your covered with today’s selection of free iPhone and iPad apps. Plus, if you hurry, you might be able to download some of yesterday’s free apps as well! 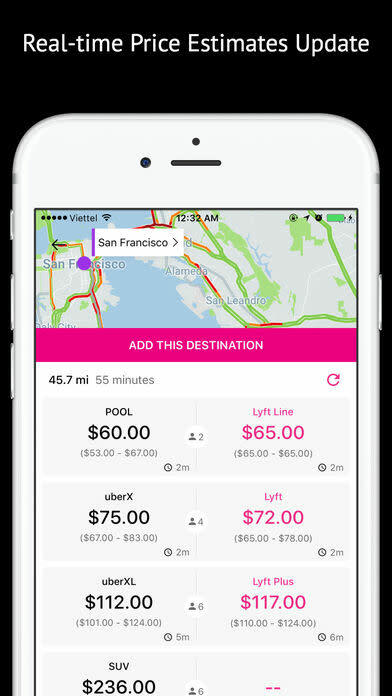 FairRide+ compares fares between Uber and Lyft’s product lines allowing you to quickly get the ride you need at the lowest cost right from Notification Center Widgets. FairRide+ averages costs and automatically factors Surge and Prime Time surcharges so you never have to! 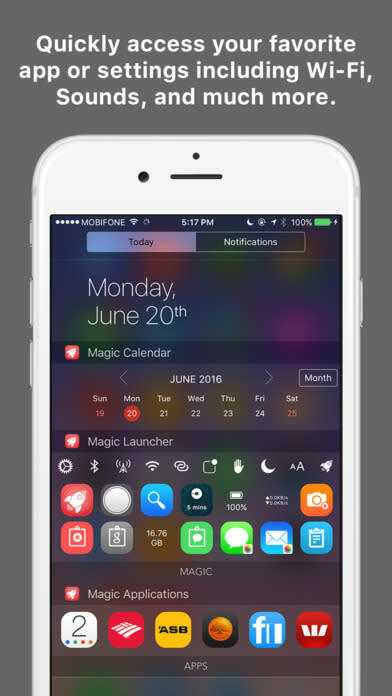 – Dynamic Launcher makes your smartphone smarter: Dynamic Launcher is an intelligent launcher that gives you the right apps and settings at the right moments throughout your day. – Magic Contact allows instant contact via Call, Messages (SMS), FaceTime, FaceTime Audio, Mail and Telegram! – A huge set of Magic Launchers including Google Search, Wiki Search, Weather, Clock, Clipboard search, Clipboard clear, automatic Tweet/Facebook post latest photo, Battery monitor and much more! 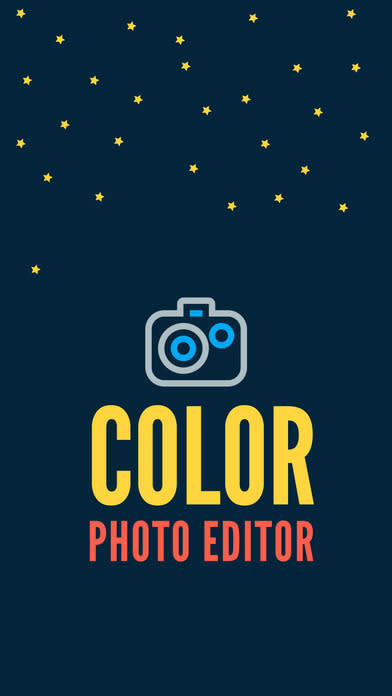 Color Photo Editing App apply up to 3 texture layers over your favorite pictures, set their opacity and share your final edited image to the world. -Share edited images on Twitter, Facebook, Mail, Instagram, Piquk, iMessage, iPhoto, WhatsApp and many others! Get the most out of your workouts with a new weekly heart beat challenge! We access your heart rate data from the Health App, to compose a simple 5-bar chart that tells you how hard your heart has been working every week. To stay healthy, try to fill each bar to full each week. It works out to 30min of activity each day. It simply means that you will be able to better deal with whatever stress may come your way, including symptoms such as high blood pressure (hypertension), low energy, and anxiety. Picture that important moment when its your turn to perform. The meeting. The interview. Your heart is beating hard in your chest. But you know what your heart is now capable of. You’re comfortable and confident, so you have a better chance to win. 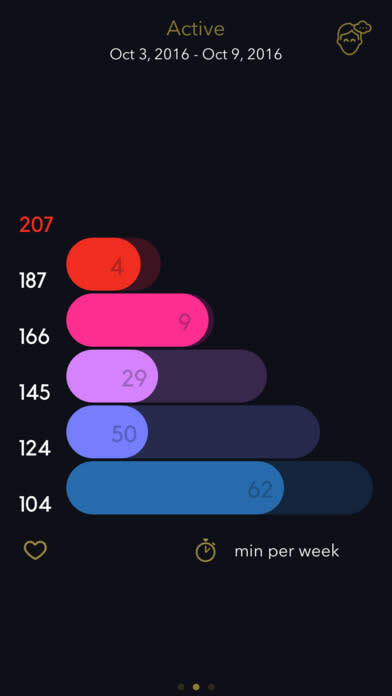 The chart now displays both your weekly progress, and your daily contribution. Place My Beat next to the Activity App in the Dock for a complete picture of your daily and weekly activity. More workout types than the Workout App. Track your performance from your favorite watch face. You can display the weekly progress chart, and a breakdown of your daily highest, lowest and average heart rates. Just your heart rate ‘beating’. Gets bigger and changes color the faster your heart beats, so its easier to read the faster and harder you go. Get in the zone. Use the digital crown to set the desired zone to aim for, and the needle will show you when you are working out in your desired zone. Check how much time you spent in each zone during your workout. Designed to be easy to glance at, while you’re on the move. All the important details in one place. Heart beat. Time elapsed. Calories burnt. Kilometers covered. Just the numbers. Yup, there’s more. We have taken care of keeping track of how you are doing on a weekly basis using the Apple Watch Glance, and via the iPhone/iPod app. If you want more detail, open up the iPhone app to display your beat chart. Then tap on it to reveal your heart rate zones, and time spent in minutes active in each zone. Want to see how you have been progressing over time. Swipe right to show the calendar view summarising your heart rate zones week to week, and month to month. An alternative music player for your Apple Music and iTunes Match libraries giving you the best music experience on your iOS device. Never miss a scrobble with flawless Last.fm integration and caching. ‘Love’ your tracks on Last.fm and sync your ‘Now playing’ status. You can easily add songs to your queue with Play Next feature. 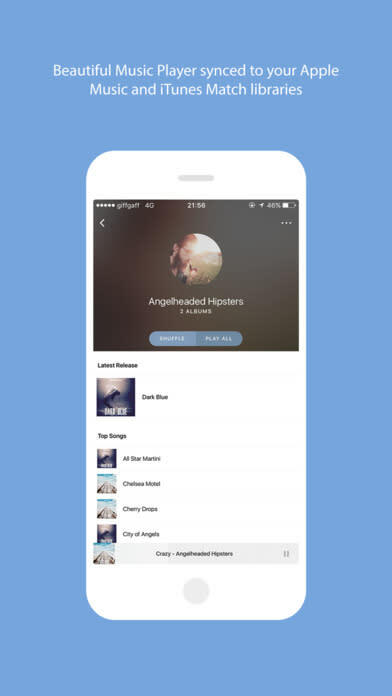 Look no further for the perfect alternative music player and scrobbler for iOS. Note: Only songs that have been added to your library in Apple Music will appear. Both streaming and playing downloaded songs are compatible with this app. Please make sure you keep Background App Refresh enabled for effective scrobbling. The front camera is used to detect your fingers. Forget bluetooth, use paper! 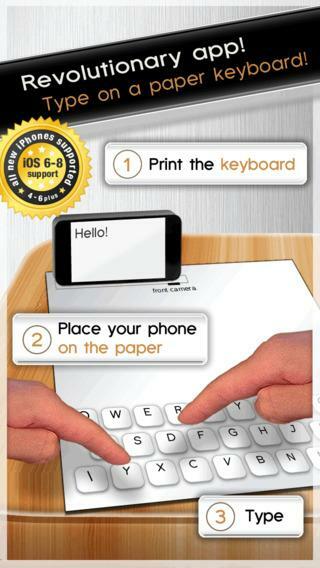 Just print a PDF file on paper and use it as a keyboard. How? Put your phone where marked on the paper and see the magic happen: the phone’s camera detects your fingers with state of the art algorithms. You can play games, chat with friends, send emails, write anything with the keyboard. With this version you can play some games and use the typing test, additional features may be available with in-app purchase. The app works on letter-size and A4 paper as well! Collect the letters of quotes, typing games, ball games etc. Are you tired of typing a long email to your colleague? Use the app and the keyboard! Use the paper keyboard and paste your text in any text editor to format. • Special characters are on the keyboard as well, so you can write java, sql or any code with the app, and paste the text in the appropriate editor. Zim Zam and Zoom have built a new machine to allow Messy and the gang to make their very own music. As a strange side effect, every time they change their tune, the world around them changes along with it. 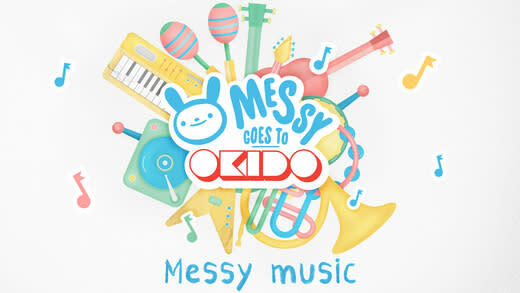 Somehow Messy’s Music Maker has the ability to remix OKIDO itself! Messy loves percussion so he plays 4 different drum kits on podium 1. Zoe, on podium 2, plays a variety of string instruments including a banjo, acoustic guitar, electric bass and electric guitar. On podium 3, Felix mostly mostly plays wind instruments like the gear-trumpet and the quintuple-belled horn (both fictional) and the melodica (strangely not fictional) but for the moon rock he couldn’t resist playing the double neck bass. On the last podium there are 4 special guests: Mayor Oki on xylophone, a jazzy Okidian on piano, Nancy-robot on synthesiser and Arthur-robot on keytar. The best way to learn is through play. In Messy’s Music Maker there’s no winning or losing and there are no stars to collect so just let your kids explore and see what they discover. Half of the fun is figuring out how it all works. Even as a parent we would recommend trying it out for yourself but if you want some hints there are some answers below that should help. Never Forget Where You Parked! With one tap, this app will save your parking spot location. * fastest walking direction to your cars location. * Shows distance from your position to your cars location, so that you can keep track of the time. * Remember the GPS position of your car. 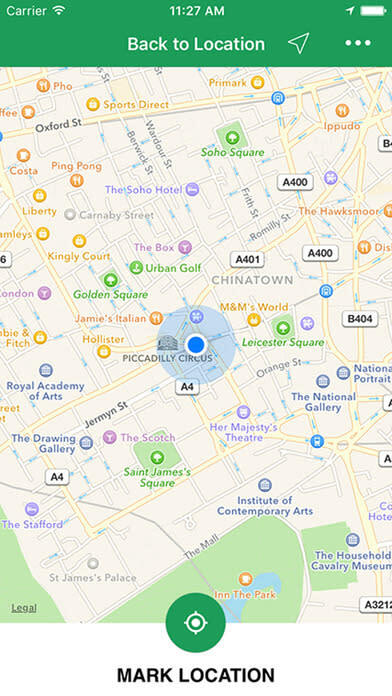 * Compass navigation: offline navigation with a compass.